Find a Bottom Dollar Price on the Coachmen Viking Saga Travel Trailer! Travel trailers are some of the most popular RVs on the market. They are affordable, easy-to-tow, and will oftentimes come in numerous floorplan options to help you pick the right model for you. 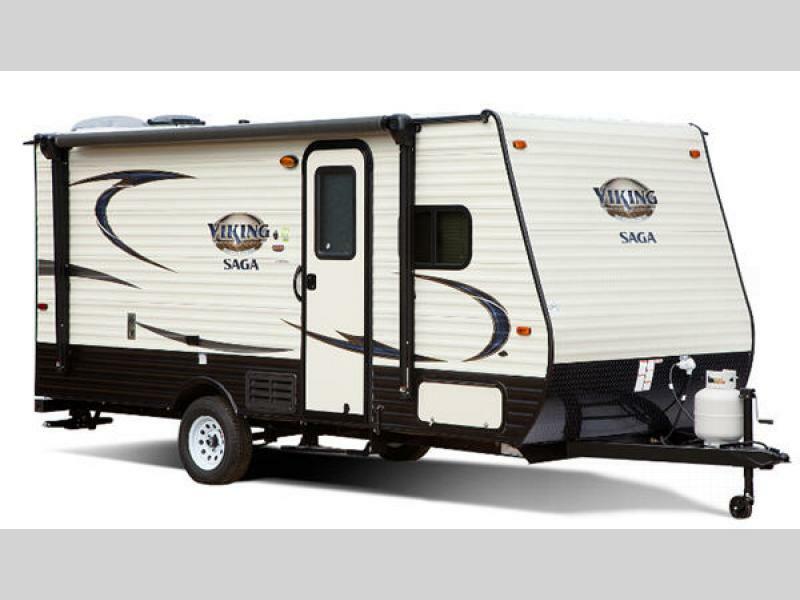 Save big on the Coachmen Viking Saga Travel Trailer! For example, take a look at this Coachmen Viking Saga that we are currently offering for a bottom dollar price. You can get this amazing travel trailer for only $10,599 to give you a savings of over $2,500! Now this already affordable camper is even easier for you to get. Inside the Viking Saga, you will find room for up to five people to sleep comfortably. One way that it does this is by having multiple places for people to sleep. From the double bed at the front to the convertible dinette opposite the kitchen area to the bunk beds at the back, everyone is sure to have a comfy place to rest at night. Bring up to five people in the spacious interior! 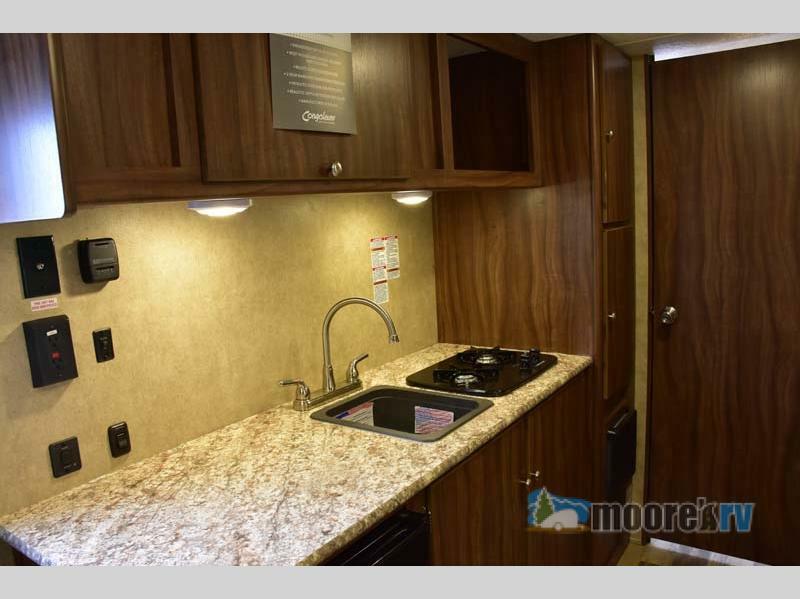 Cooking on the road will be a breeze in the compact, galley kitchen located in the center of this Coachmen travel trailer. With a pantry and overhead cabinets, you are sure to find room for all of your kitchen items. Plus, with the fridge beneath the counter, you will have more prep space to use above. Get more counter space with the fridge situated below. 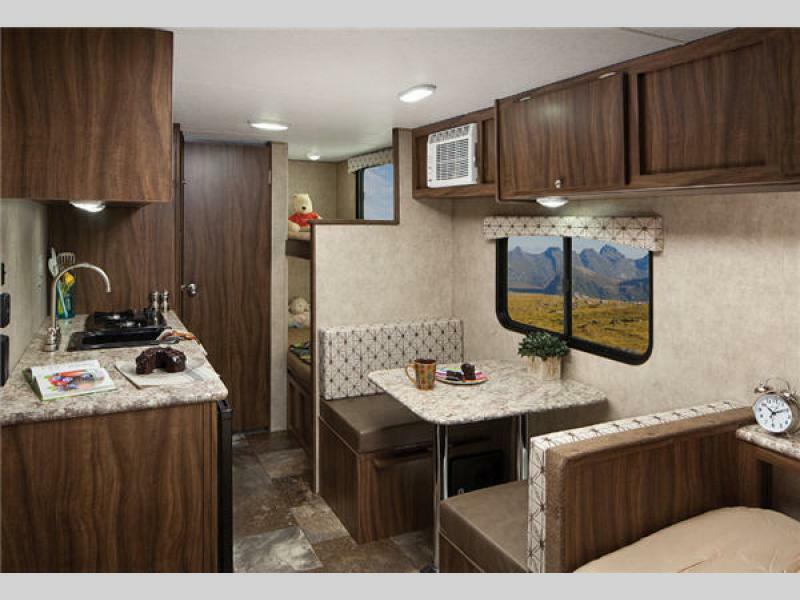 This incredible Coachmen Viking will also have a bathroom for you to use. Complete with a toilet and a tub and shower combination, everyone in your family will be able to take care of themselves no matter where the RV is parked. With the low price we are currently offering our this Viking Saga travel trailer, you will be able to not only take your family on an incredible camping trip, but you can do it while still saving money. Contact us today to find out how you can drive home with this camper in tow, or come on by our location to see it for yourself.